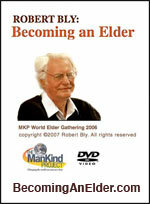 Explore the DVD featuring Robert Bly giving a talk on becoming an elder. Buy a Paperback copy of "Breaking the Shackles"
You can purchase your own paperback for $14.96 (plus shipping and handling) USA Shipping only. 612-801-7355 Orders by phone, please leave your name, phone number, and best time to call. Group discounts are available, please inquire. Please DONATE if you enjoyed this free book download! "Breaking the Shackles is a wonderful collection of thought-provoking and heartfelt truths about men and their lives." "I recommend Breaking the Shackles to all men who have completed the New Warrior Training. It is an excellent resource for understanding the internal changes that occur after the Training. It's a book that should be on every Warrior's bookshelf." "I am aware of no better book to understand men's shame--and how to break free of it-- than Breaking the Shackles. The editors have chosen diverse, thoughtful and pioneering contributors." Writings and reflections online worthy of your time. 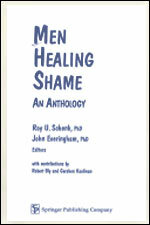 Review of original edition: "Men Healing Shame"
Committed to helping people understand shame and bring joy into their lives.